Question 1: The Bible is a testimony to God’s work, it has been of inestimable benefit to mankind. Through reading the Bible, we come to understand that God is the Creator of all things, we come to see the wondrous and mighty deeds, and omnipotence of God. Since the Bible is a record of God’s word and man’s testimony to God, then why can one not receive eternal life from reading the Bible? Is there no way of eternal life in the Bible? Answer: Through reading the Bible we come to understand that God is the Creator of all things and we begin to recognize His wondrous deeds. This is because the Bible is a testimony to the first two stages of God’s work. It is a record of the words and work of God and the testimony of man during the Age of Law and the Age of Grace. So, the Bible is very important to our faith. Think about it, if not for the Bible, how would we come to understand the Lord’s word and know the Lord? How else would we witness God’s deeds and begin to develop true faith in God? If we do not read the Bible, how else will we witness the real testimony of all the saints throughout the ages obeying God? So, reading the Bible is essential to the practice of faith, and no believer of the Lord should ever go astray from the Bible. You could say, if we go astray from the Bible, we could not believe in the Lord. This is verified in the experiences of saints throughout the ages. 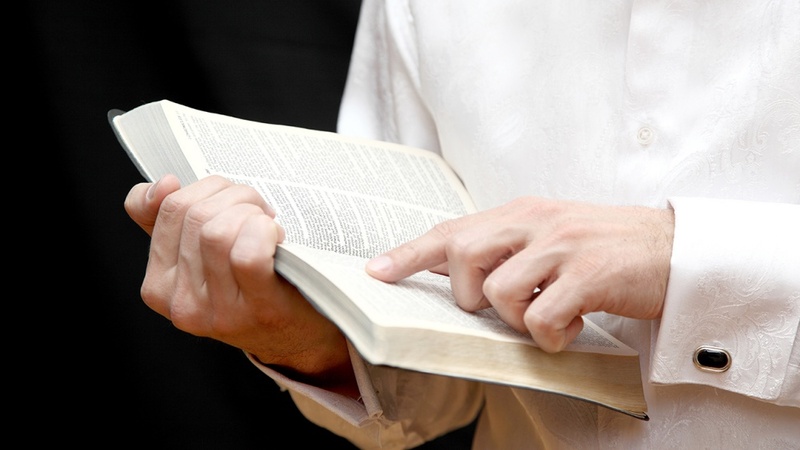 No one dares deny the value and meaning of reading the Bible in the practice of faith. So, saints throughout the ages and believers all view reading the Bible as a very important matter. Some would even go so far as to say that, reading the Bible and prayer are as essential as our two legs are for walking, without either we fail to move forward. But the Lord Jesus has said, “Search the scriptures; for in them you think you have eternal life: and they are they which testify of me. And you will not come to me, that you might have life” (Jhn 5:39-40). Some people are confused, they think, given that the Bible is a record of God’s word and man’s testimony, reading the Bible should give man eternal life! Then why is it that the Lord Jesus said there is no eternal life in the Bible? Actually, this is not such a difficult idea. As long as we understand the inside story and the substance of God’s words and work during the Age of Law and the Age of Grace as well as the effect achieved through them, then we’ll naturally come to realize why it is that one cannot receive eternal life through the reading of the Bible. First off, ‘we should know that during the Age of Law, Jehovah God was chiefly concerned with promulgating laws, the commandments and ordinances for man to follow. His words were mostly a kind of guide for humanity, which was still in their infancy, to live on earth. These words did not involve changing man’s life disposition. So God’s words during the Age of Law were all aimed at making people abide by the laws and the commandments. Though these words were truth, they represent the very rudimentary truth. During the Age of Grace, The Lord Jesus’ words and work were focused on the work of redemption. The words He issued were about the truth of redemption and taught people that they ought to confess their sins and repent and refrain from sinning and evildoing. These words also taught people the proper way to pray to the Lord and demanded that man must love the Lord with all their heart and soul, love their neighbor as themselves, be tolerant and patient, and forgive others seventy times seven times, etc. These are all included in the way of repentance. So, through reading the Bible, we can only understand the work of God during the Age of Law and the Age of Grace. We come to realize that all things are created by God and learn how to live on earth and how to worship God. We understand what is sin, who are God’s blessed and who are cursed by God. We come to know how to confess our sins and repent to God. We learn humility, forbearance and forgiveness, and know we ought to take up the cross to follow the Lord. We see for ourselves the unlimited mercy and compassion of the Lord Jesus, and realize that only by coming before the Lord Jesus in faith will we enjoy His abundant grace and the truth. The words and work of God during the Age of Law and the Age of Grace as recorded in the Bible were the truth spoken by God according to the plan of saving mankind and the needs of mankind at that time. These truths were only capable of causing man to adopt some superficially good behaviors but were completely incapable of resolving the roots of man’s sinfulness, changing man’s life disposition, and allowing man to attain purification, salvation and perfection. Thus, the words issued by the Lord Jesus during the Age of Grace can only be called the way of repentance, but not the way of eternal life. Then what is the way of eternal life? The way of eternal life is the way of truth which allows man to live forever, which is to say, it is the way which allows man to cast off the binds and restraints of his sinful nature, change his life disposition, and allows him to gain the truth as life, thoroughly break free of Satan’s influence and become compatible with Christ. It allows man to know, obey and revere God so as to never again sin to oppose or betray God. Only the way which can achieve this effect may be called the way of eternal life. Man dies as a result of sin. If man attains the truth as life and resolves all the sin that plagues him, God will bless him with eternal life. So, only by receiving the salvation of God in the last days can we enjoy the way of eternal life which God grants to humankind. Previous：Question 3: Since we started to study the work of Almighty God in the last days, the religious pastors and elders have been condemning Almighty God more frantically, doing all they could to block us from studying the true way. It is no different from how the Jewish Pharisees resisted and condemned the Lord Jesus! I have been pondering, why did God twice appear in the flesh to work and twice encounter the collective condemnation and persecution of the religious community and atheist government? 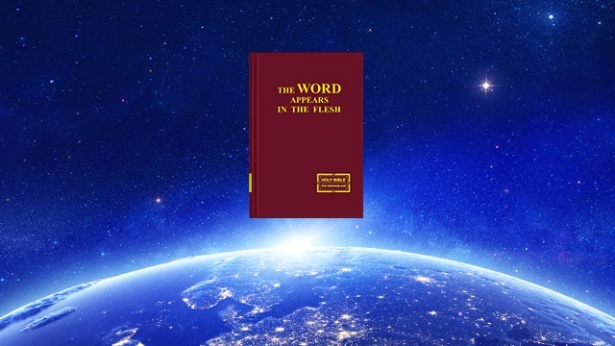 In the last days, Almighty God appears and works merely to express the truth by speaking and working for the cleansing and salvation of mankind. Why are the religious community and the Chinese Communist government so rancorous against Christ that they even mobilize the media corp and armed police forces to condemn, blaspheme, round up and exterminate Christ? When King Herod heard that the King of Jews, that is, the Lord Jesus was born, he ordered for the slaughter of all male infants under the age of two in Bethlehem. He would rather execute thousands of innocent babies than spare Christ. When God came in the flesh for the salvation of mankind, why didn’t the religious community and government welcome His arrival but frantically condemned and blasphemed God’s appearance and work? Why did they deplete the resources of the whole country to crucify Christ on the cross at any cost? Why is mankind so evil and so rancorously against God? Next：Question 2: We believe, by putting our faith in and following the Lord, we can attain eternal life. The Lord’s word backs this up: The Lord Jesus said, “I am the resurrection, and the life: he that believes in me, though he were dead, yet shall he live: And whoever lives and believes in me shall never die” (Jhn 11:25-26). “But whoever drinks of the water that I shall give him shall never thirst; but the water that I shall give him shall be in him a well of water springing up into everlasting life” (Jhn 4:14). These passages are the Lord Jesus' promise. The Lord Jesus can grant us eternal life, the way of the Lord Jesus is the way of eternal life. And the Bible says, “He that believes on the Son has everlasting life: and he that believes not the Son shall not see life; but the wrath of God stays on him” (Jhn 3:36). Is the Lord Jesus not the Son of man, is He not Christ? We could gain the way of eternal life by faith in the Lord. But you testify that Christ of the last days will bring us the way of eternal life. I don’t quite understand this, we are all followers of the Lord Jesus Christ. Why is this not enough to attain the way of eternal life? So why do we also have to accept the words and work of Christ of the last days?